In World War 2, one million children died as a result of World War 2. These children were not killed by a single bomb, or where not even involved in the conflict. The only reason they died is because Adolf Hitler did not think that these children were fit to be classed as German, and did not fit his ideal image of the “perfect” German member of the public. When the Germans invaded countries within Europe, the Jews were flushed out and many children and their parents were rounded up by the German’s. These children and their parents were then placed into prisons or concentration camps and were killed, for one reason and one reason only… they were Jewish. Jewish people follow the religion known as Judaism. Anne Frank is one of the most famous Jews from World War 2. Anne Frank was just an ordinary German but Jewish girl. She became famous for her diary from 12 June 1942 to 1 August 1944. Anne Frank Initially only wrote an entry into her diary for herself, as lots of young girls do. Making it a place to express her thoughts on what was happening to her country at that time. It wasn’t until 1944, when a man called Gerrit Bolkestein, who was a member of the Dutch government in exile, announced from London over the radio that after World War 2 he wanted to collect as many eyewitness accounts of the suffering that the German’s caused during the war. All the document would then be made public and available to everyone. Gerrit Bolkestein, specifically mentioned letters home and diaries. At this point Anne Frank Decided once World War 2 was over she would publish her diary into a book, and share her story. Since making her diary public, millions of people and students around the world have read Anne Franks personal thoughts. Below are some historical facts about Anne Frank and her diary. Anne received a diary from her parents as a 13th birthday present. Anne Frank gave her diary a nickname called ‘Kitty’. 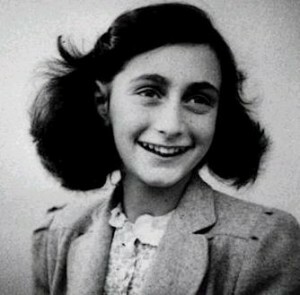 Anne Franks was born on June 12th, 1929 in Frankfurt, Germany. 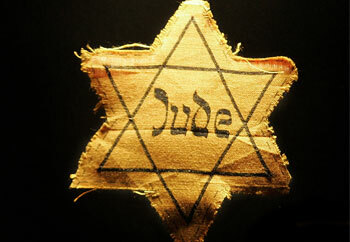 May 1942 – all Jews aged six and older are required to wear a yellow Star of David on their clothes to set them apart from non-Jews. Jews are arrested just for being Jews. August 4, 1944 – Their hiding place is discovered and they are arrested. September 3, 1944 – Frank family are transported to the Auschwitz death camp in Poland. October, 1944, Anne and Margot are transported from Auschwitz to the Bergen-Belsen concentration camp in Germany. Why did Hitler persecute the Jews so much? Adolf Hitler wanted to create a superior race or a master race. Adolf Hitler wanted to create a perfect German, which did mean that anyone who did not fit in his plans where sent to prison or executed. Adolf Hitler blamed the jews for a lot of Germany’s miss fortunes during and after world war 1. How many Jews were killed in World War 2? By the end of World War 2, 6 million Jews were killed not because the fought it lots of battles, it was because Hitler saw them as being ‘different’ and he eyes needed to be wiped out. If a Jew wanted to walk about in town he or she had to wear a yellow star, usually found the arm or sown into their clothes. Jews were also band from using trams and most other public transport or even sources of entertainment. It really was a horrible time to be a Jew, and really does highlight how horrible World War 2 was and how a war on this scale should never be allowed to happen again.